Once known for their love of emulation, Chinese brands are now world-famous for their innovative ideas and global outlooks. China, the rapidly-growing second largest economy in the world, has long been viewed as a breeding ground of emulation and imitation. But, as it turns out, this is far from the full picture in 2018. 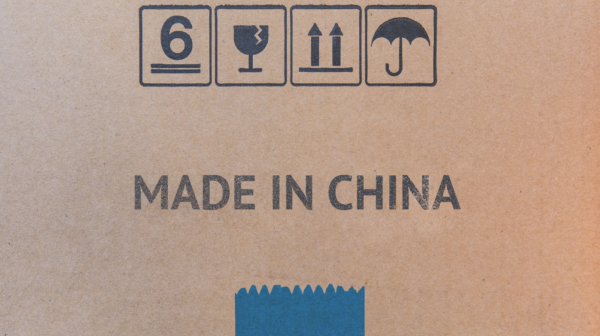 China is now a great disruptor and innovator in its own right, with massive brands setting the standards for their entire industry on a global level. Dialogue editor Ben Walker caught up with David Roth, chief executive EMEA & Asia at The Store WPP, and Doreen Wang, global head of BrandZ at Kantar Millward Brown, at the WPP BrandZ Chinese Brand Builders reception at the House of Commons, London. Ben Walker: How have the disruptors broken through? David Roth: The economic environment for disruptor brands has never been as good as it is now. There is lots of money, lots of capital and lots of investment going in. The disruptor brands are seriously challenging the status quo. 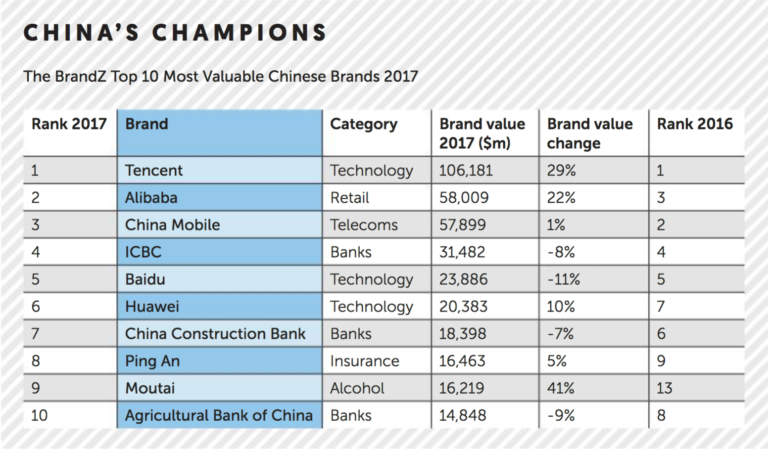 Doreen Wang: In the BrandZ Top 100 Most Valuable Chinese Brands, five years ago, almost all the top five were state-owned enterprises. Now the top five includes Tencent, Alibaba, Huawei and Baidu, so we are seeing a dramatic change where lots of entrepreneurial disruptive brands have entered. The consumer’s needs in the digital era has been met by these brands. BW: Beyond their ability to bend over backwards to meet consumer need quickly, does anything else link the most successful brands? DR: Learn fast, fail fast. Phenomenal good use of data, beyond just measuring it. An abundance of energy. The energy and the excitement of the disruptors – you want to bottle it up. They have a purpose in life as opposed to doing a job. DW: Their business model has changed significantly. The companies that can leverage technology and deliver that consumer experience are going to win. They are very purpose-driven, they can balance long-term and short-term very well. DR: I think Tencent is a really good example. If you look historically over the course of the last few years, Alipay has been the market leader. But Tencent has the potential to be a market leader because it can create payment in a social sphere, and that’s been amazingly disruptive, completely frictionless. So I think those types of things are amazingly powerful in terms of how you disrupt. BW: Because there is no stopping point for the consumer? DW: Yes, you are already in their ecosystem. BW: You are in there, you are excited. The consumer is talking on social media about a new dress or whatever it is, and she can suddenly buy it without having to think too much about having to go somewhere else? BW: There was some evidence last year that the brands from the BRICS countries generally were slowing. Any evidence of that affecting China itself? DW: I think the Chinese economy remains very robust. It’s moving from a follower to a leader. The globalizing Chinese brands are not all home appliance brands, or just online gaming brands, electronics, ecommerce. They have a better advantage in globalization because they can take advantage of their technology and set up in 50 or 60 countries simultaneously. They do not have to be big in their own country before going global. They were born global. DR: Yes, five years ago, from all our data and evidence, we would have always said that it would be impossible to be big outside your home market unless you are big inside your home market. Now what we are seeing with some of these Chinese companies is that some of them are choosing to go global first. So they are saying, “The Chinese market is very difficult, it’s oversaturated, it’s expensive, so actually what we are going to do is export first of all.” Five years ago, we would have said, “Don’t try that strategy because it doesn’t work.” But we are seeing that it does work. BW: China has moved from domestic emulator to global innovator. Has that been reflected in the index? DR: I think it has. When I first started to go to China 20 years ago, the only thing they wanted to show you at their factories was the accommodation for their staff. Now all they want to show you is their innovation labs. China knows better than most that being the production end of the world is fine in the first stage of transformation but is not sustainable – there are cheaper places to produce now. Now is the era of adding significant value. I think, and I don’t mean this in a pejorative way at all, they are beginning to understand the magic of branding. DW: Overseas awareness of Chinese brands has increased over the past three years from 12% to 19%. Okay, 19% awareness is not high, there is still a long way to go, but it has definitely improved. China’s image has improved from being low-price, low quality, to 45% of Millennials agreeing that Chinese brands are innovative and creative. In Spain, for example, many Millennials said they were very willing to wait 10-15 days to buy cool stuff from China. So that’s absolutely the change. Because of this new generation – this Millennial generation – that is going to give lots of opportunities to brands from fast-growing markets.